Hi friends!! I hope you are doing well!! Jeni here. 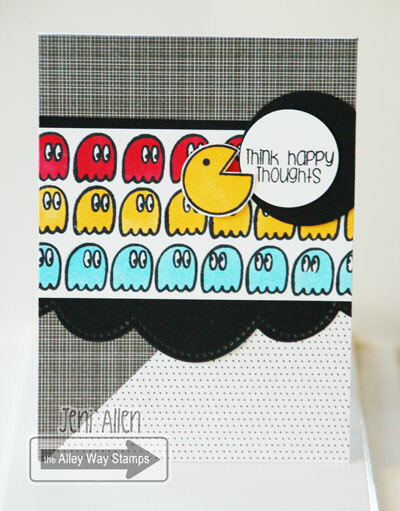 I've got some Pac Man memories to share today!! These images from the Old School set are so fun!!! Hi it's N@ Ali. Here's my card for today using Oh Splat. Hi! 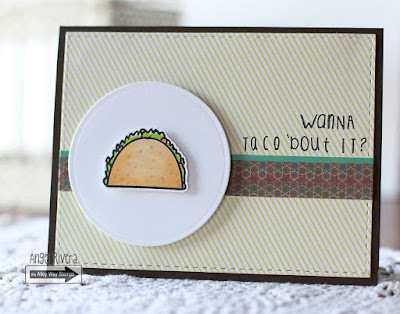 Joanna here with a fun card with stamps from Cha Cha Cha. Take a look at the video if you would like to know how it came together! Hellohoo - Tanja here! Hope everything is fine - or is time to say sorry??? :-) For this card I used Old School and one of my favorite sets ever: Funky Feet. Hugs! Hello, Dana here with a fun happy card for you!!! :) I paired the new Neener Neener (this months free stamp set with a $40 purchase) stamp set with the older Face It set, they go great together!! 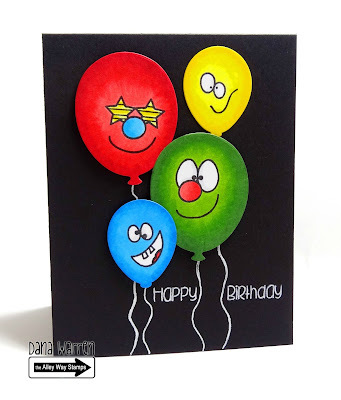 To focus on the faces i stamped them on some balloon dies, then colored them with markers! Hi all! Angel here with a card using Express Yourself (custom sentiments, people!!) and Cha Cha Cha. 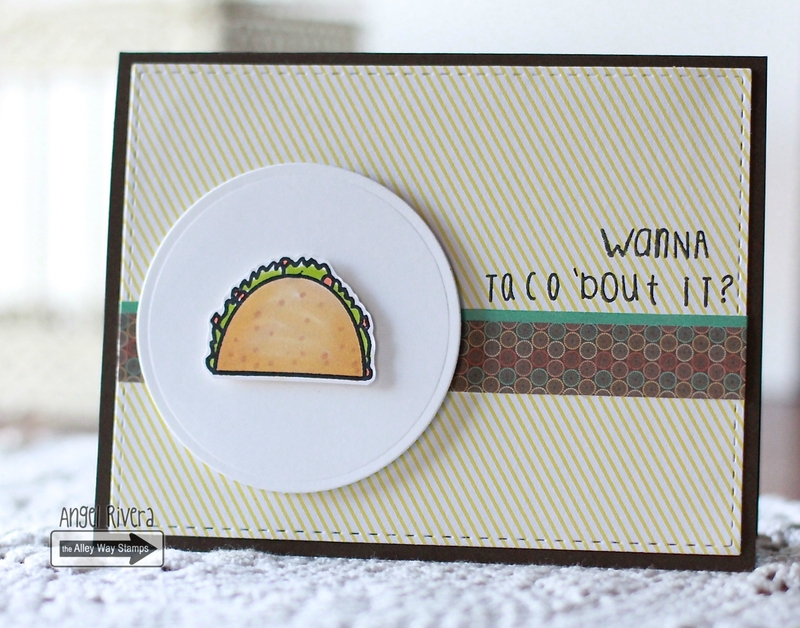 Once I had the taco colored, I couldn't resist using this sentiment, lol! Awesome FUN cards - each one made me smile - the ones that stood out to me today were the Pac-Man one and the balloons with the faces on the Black background!! But all of these cards delighted me and I think you have some of the best designers on your team! !